Following talks with the SWA, one of Diageo’s Indian whisky brands is no longer sold outside the sub-continent; another is likely to be renamed. But just how big a victory is this for the Scotch whisky industry? 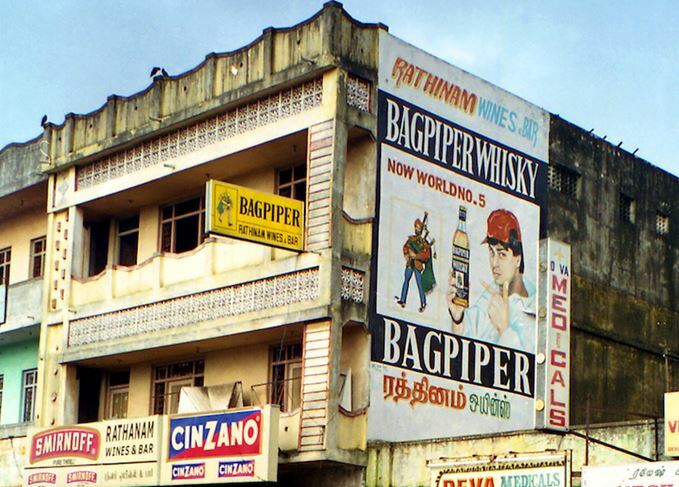 Bagpiper is among India's most popular 'whisky' brands, although poor sales mean it's no longer the fifth best-selling. We can only speculate on how Angus McDowell might feel about the likely renaming of McDowell’s No. 1 whisky outside India, on the grounds that people might be fooled into thinking it’s Scotch. McDowell was a resourceful – and very Scottish – entrepreneur who, in the late Georgian era, eyed a gap in the market in the then colony of India. He built a warehouse at Fort St George, close to Madras (now Chennai) and, from 1826, began serving the British ex-pat community with imports of cigars, tea, assorted groceries – and wines and spirits. Whisky was no doubt involved, but it was to be nearly another 150 years before the first bottles were produced bearing Angus’ family name. In the meantime, McDowell and Company had been bought out by Vittal Mallya’s United Breweries, in 1951. Mallya’s vision shaped the future of the McDowell’s name: he set up his first distillery in Kerala in 1959, single-handedly creating the IMFL (Indian-Made Foreign Liquor) category – a blanket term for Indian versions of Western spirits categories, using neutral spirit (usually derived from molasses) as their base, sometimes in combination with imported spirit, such as Scotch. In 1963/4, dear old Angus may have been rotating angrily in his grave, for the first McDowell’s No. 1 spirit to be launched was… a brandy. By 1968, however, McDowell’s No. 1 whisky had been added to the franchise. A rum joined the range in 1990/1. In volume terms, McDowell’s is the biggest-selling spirits franchise in the world, shipping an estimated 53m nine-litre cases (2014 figures), of which nearly half are accounted for by the whisky variant. Meanwhile, Bagpiper entered the fray in 1976, an IMFL whisky brand created by Herbertsons (which had joined the United Breweries Group in 1973). Attractive pricing, catchy marketing and associations with Bollywood (especially with the actor Dharmendra) built it into one of the world’s best-selling whiskies, shifting more than 16m cases in 2010. However, sales have since declined steadily, falling below 10m cases in 2014. Why did the SWA get involved? The organisation has long fought to protect Scotch from ‘copycat’ and differently formulated products. With a base made from molasses, neither McDowell’s nor Bagpiper could be called whisky in many parts of the world (especially the EU and other regions governed by trade agreements with it). The formulation issue with IMFL products is one thing; the elements of ‘Scottishness’ – the brand names, the eponymous ‘bagpiper’ on the label – have long rankled with the SWA, which sees these ‘whiskies’ as unfairly cashing in on the global renown of Scotch. But, until now and despite regular objections, concessions have been small-scale, such as the replacement of the Scottish piper on the Bagpiper label with one more obviously from the sub-continent. Two elements have conspired to create the recent agreement: first, the takeover of Bagpiper and McDowell’s brand owner United Spirits by Diageo, by far the leading player in Scotch whisky; and second, the small but growing presence of IMFL brands outside India. The latter factor looks insignificant at first glance. Bagpiper, for example, sold an estimated 0.3% of its 9.5m cases outside India in 2014 (IWSR figures quoted by The Wall Street Journal). Little wonder, then, that Diageo was happy to call a halt to exports of the brand on 1 January this year. McDowell’s No. 1 sold 2.6% of its volumes outside India; again, that doesn’t sound much until you consider the brand’s larger volumes: 2.6% of 24.9m cases is roughly 650,000 cases – a significant presence. These volumes are sold in a variety of markets – Africa, South East Asia, the UAE – but have become a growing part of the McDowell’s business in recent years. Hence the SWA’s concern – and Diageo’s willingness to countenance change, rather than, as in Bagpiper’s case, halting exports altogether. The alterations to McDowell’s packaging have yet to be confirmed, beyond Diageo’s pledge to ‘remove Scottish references’ – which presumably includes the brand name. But there’s still an air of unfinished business with regard to the brands’ presence in India itself. The organisation has not been as sanguine in tackling similar situations elsewhere, which makes the Diageo agreement look like a compromise between the SWA and – for want of a better description – its largest shareholder. It may be the best possible deal on the table, but it will still rankle with whisky purists. One significant footnote: the relationship between Scotch and Indian whiskies is now closer, in corporate terms, than it has ever been. Between them, Diageo and Pernod Ricard, the two biggest Scotch whisky producers, own seven out of the top 10 Indian whisky brands (Pernod has numbers three and four, Royal Stag and Imperial Blue, which together sold more than 30m cases in 2014). So the two leading players in Scotch whisky are also two of the biggest hitters in Indian whisky, a category dominated by products that cannot be called whisky, let alone Scotch, in many parts of the world. And – in India, a market of great potential for Scotch, but one hampered by protectionist import tariffs – they continue to reference Scotch whisky and its imagery when selling these products. Is that a happy and healthy situation for Scotch whisky? The UK Foreign Secretary’s working knowledge of whisky is patchy, to judge from a speech this week.